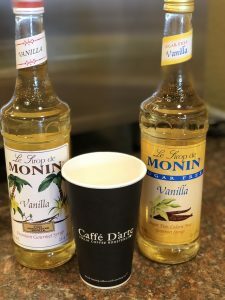 If you like a little flavor in your morning coffee, Monin premium gourmet syrup is the best choice. We offer a wide variety of flavors, both regular or sugar free. Monin syrups are gluten free, vegan, GMO free and contain no artificial ingredients.